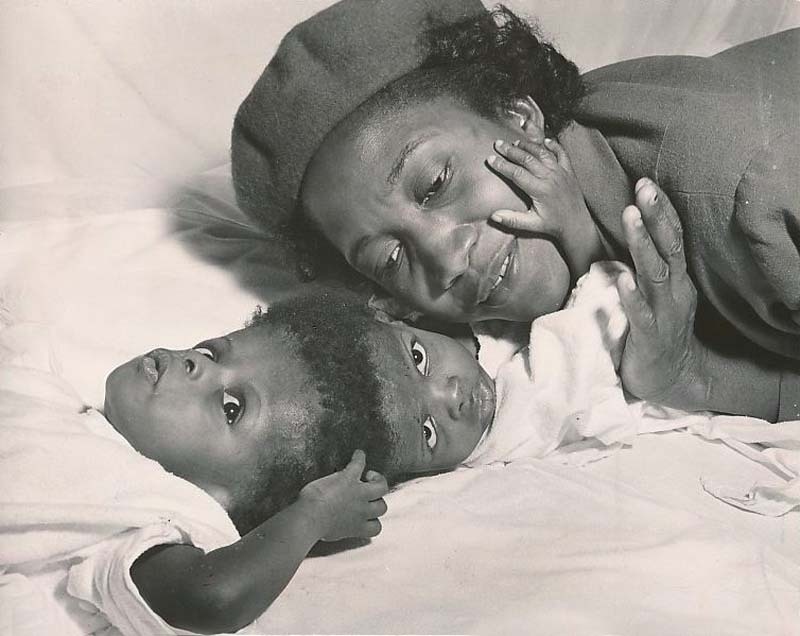 Born to a 35 year old mother, shown cuddling them here, and her since-divorced 45 year old husband, laborer John Jones, at Los Angeles General hospital, the infants were not expected to live long. Today, however, they are thriving. 'The twins' brains are completely separated and in normal position, X-rays have shown. Their cranium bone structure, however, is joined and there is a free-flowing exchange of blood between them. Doctors feel an operation to cut them apart would be "dangerous."